News https issue on skunity.com is fixed! I'm happy to announce that the https issue for the docs is now resolved. The issue was slightly more complex and less complex than I thought. The issue affected "https://skunity.com" and "https://www.skunity.com", but no other sub-domains were affected (forums.skunity.com is hosted on a different server, but still unaffected at domain level). The issue was also only present in Google Chrome. Other browsers and SSL/HTTP(S) checking sites worked fine. Originally I thought it was due to CloudFlares SSL certificate issued to the domain and as Chrome is very fussy with HTTPS, it just refused connection with a generic reason. After investigation with @xXAndrew28Xx, we tried restarting Apache, going through every configuration file and running commands to fix the issue, nothing worked. We then figured out that specifying the pages worked (testing page that still exists https://skunity.com/hiandrew), but any page that was the docs didn't. The way the docs are built means that different pages call upon some of the same files, regardless of the actual page. I did some digging (basically just commented and uncommented lines until stuff worked), and found that a header was being sent by PHP and was either conflicting with a meta tag or confusing the browser because it was sent before any HTML but was a HTML related header. The line was removed and the docs load fine. There is a warning for unsecure content, which I plan to fix, but don't have the time to roll out right now. Docs 2 will be released soon and don't have any unsecure content notices. Just ignore it for now, your browsing experience shouldn't be affected. Official [Feedback] What do YOU want in Docs 2? skUnity Docs 2 are nearing release. I'm finishing up some features and making everything as smooth as possible. Before launching though, I want to see what you would like to see in Docs 2. My current mindset about features are ones that are essential to Docs and will be included before launch and other features which will come shortly after launch. This thread basically serves as a place for you to say what you'd like to see, what didn't work well, what did work well and just general discussion about the Docs. All feedback is appreciated, but please keep it on-topic and constructive. Not all features will be added, but I'll be sure to consider every suggestion. I was recently contacted by Njol via email and we discussed how skUnity Forums had at first replaced the DBO forums and have now become the only Skript forums due to DBO not having the forums section anymore. For skUnity Forums to become the official forums, Njol has asked for some input into how the forums operate. I have agreed to this with him, so long as skUnity Forums are branded as official and he has some activity on them. However, during this conversation with Njol, he brought up an issue. He is contacted multiple times a day with people reporting bugs for addons. He believes the general confusion lies with the fact that addons use the wording "sk" or "Skript", either at the start or end of their name and people then believe they're either official addons of Skript or they are Skript. 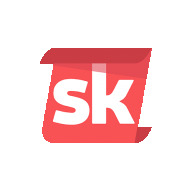 This rule is that addon developers can no longer brand their addons with "sk" or "Skript" if they're posting them on skUnity. Addons currently posted will be changed over the coming days. I know this rule probably doesn't help out the community, but it's something Njol has asked for. @BaeFell has given me the honour of deciding the winners (probably because he forgot again...). As such, it is my honour to announce the following 3 winners. The selection process was quite simple, as most of the submissions a) didn't work properly, or achieve the needed result and b) were mostly based off of @LimeGlass's submission. In no particular order, the winners are. @LimeGlass - First Submission, Lowest amount of lines, Small and Simple and easily repeatable. @Mr_Simba - Much like LimeGlass, but with extra detail in the included failsafe. @Blueyescat - With added detail in the form of his arguments, added cancellation ability and more. 1. Try to be original, there are always more than one way of achieving a goal. If you make the most longest and craziest response, then so be it. It's awesome in its own right. 3. Make sure it actually does what is required... There's one submission here that didn't even get close to the wanted result. Thats all! Thanks a lot! [#3] Skript Challenge - Area Fill - Winners announced! Welcome to another Skript Challenge! There are no holes in the walls, floor or ceiling (apart from an open door but they're classed as a block). But also note the odd shape. This is just an example, areas can be very complex. - Your code must be in [code]<code>[/code] tags so that I can easily read it. - You can use addons, but, you're not allowed to use a feature from an addon which does this (don't think any do) and the addon must of been released publicly prior to the creation of this thread. - You cannot use a feature like "fill area from location of player" or whatever. - You can use another user's code, but please don't edit your messages. I can see all message history and you'll not be counted at all. Remember: this one is about quality, not just length. So trying to cut variable names from someone elses code will lose points! - WebAPI's or using an external source (outside of Skript), to get your result in not allowed. All submissions must actually do the conversions themselves. - You can use an addon to place blocks, but not to fill the area. - You must list all addons used. I will be testing on Spigot 1.11.2. I might add a rule after a submission has been made, it's up to me whether or not that submission is valid. I can deny any submission for any reason.